Ever since he began his aggressive push for expanding existing border fencing, President Donald Trump has claimed that building a wall will stop illegal drugs from entering the U.S. from Mexico. In a Jan. 8 prime time speech, Trump stated, “Our southern border is a pipeline for vast quantities of illegal drugs, including meth, heroin, cocaine, and fentanyl. Every week, 300 of our citizens are killed by heroin alone, 90 percent of which floods across from our southern border.” The next day, he tweeted, “These numbers will be DRASTICALLY REDUCED if we have a Wall!” Recent massive drug seizures have demonstrated this is a false claim. On Jan. 26, U.S. Customs and Border Protection made the largest seizure of fentanyl in the agency’s history on Saturday at the Nogales port of entry on the U.S.-Mexico border. CNN reported that officers uncovered 100 packages of fentanyl weighing nearly 254 pounds and with an estimated value of $3.5 million. The fentanyl was mostly in powder form, with some in pill form, and was stashed in a hidden compartment under a false bottom. Nearly 650 pounds of illegal drugs were removed from the trailer in total. The drugs, which also included almost 395 pounds of methamphetamine, were concealed within a tractor-trailer transporting produce. On Jan. 28, Border Patrol agents discovered liquid methamphetamine hidden in the gas tank of a pickup truck. 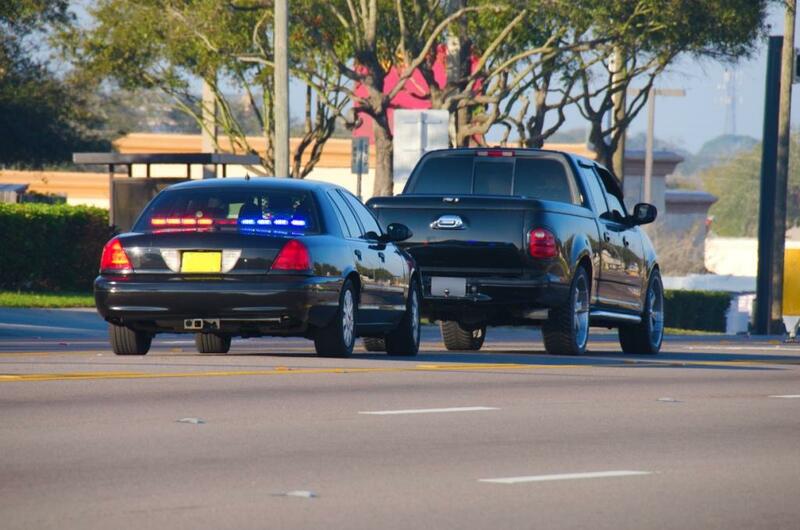 The 1997 Ford F-250 truck drove through the Highway 86 checkpoint in southern California Sunday morning. A K-9 team alerted agents to the vehicle, leading to it being sent to secondary inspection. According to Border Patrol, the narcotics weighed approximately 75 pounds with an estimated street value of $198,750. The 22 year-old driver is a U.S. citizen. On Feb. 1, Border Patrol agents at the San Clemente station in the San Diego area reported the arrest of a woman smuggling a massive 140 pounds of narcotics worth more than $2.25 million. Agents removed a total of 57 packages hidden inside a 2016 Nissan Versa, including 34 packages of cocaine weighing a total of 87 pounds, 19 packages of fentanyl weighing 44 pounds, and four packages of heroin weighing nine pounds. The seizure, which occurred on Jan. 24, marked the largest fentanyl haul in the history of the San Diego sector of the Border Patrol. Agents termed it “historic” in size. On Feb. 5, the U.S. Coast Guard offloaded thousands of pounds of cocaine seized in international waters. Six Coast Guard cutter crews seized about 35,000 pounds of cocaine – with a wholesale value of $466 million – in 21 separate interdictions off the coasts of Mexico and Central and South America during a span of about three months. In the last three years, the Coast Guard has removed 1.3 million pounds of cocaine. The U.S. Drug Enforcement Administration (DEA) made it clear in their 2018 National Drug Threat Assessment that the majority of the heroin sold in the U.S. is channeled through legal entrances, and only a small percentage is moved “between ports of entry.” Christopher Wilson, deputy director of the Mexico Institute at the Woodrow Wilson International Center for Scholars, told the Washington Post, “The best evidence suggests that the vast majority of hard drugs that enter the United States are smuggled in vehicles passing ports of entry.” Jesús Zambada Garcia, a former leader of the Sinaloa drug cartel, testified during Joaquin “El Chapo” Guzmán’s trial that for years, drug smugglers used trucks and other vehicles with hidden compartments to ply their trade. Regardless, the focus of Trump’s border security initiatives have been squarely aimed at a border fence expansion, with little emphasis or details regarding how drug detection methods at southwest border ports of entry might be improved.